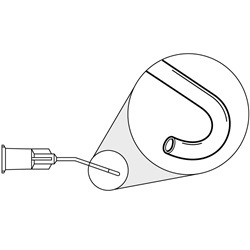 The J-Shaped Binkhorst Cannula is available for left or right hand usage. Both choices are 25 gauge with 18 degree angled shaft, 12mm from bend to tip. 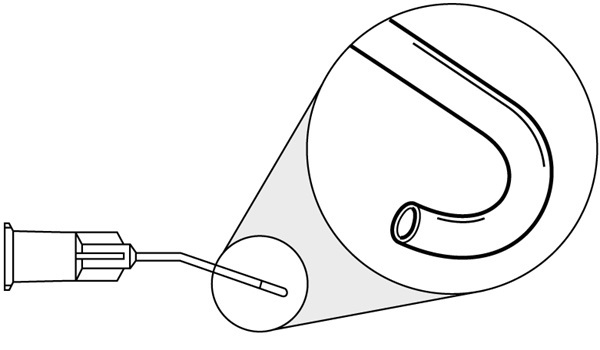 A J-shaped tip that measures 1.5mm high x 1.75mm wide. Overall length: 22mm. Sold 10 per box. 25 gauge, 18 degree angled left shaft.